Did you know that nearly 90 percent of crashes are due to human error? None of us plan on leaving the house, getting behind the wheel, and ending up in a car accident, but they can happen to even the most vigilant of drivers. There are certainly some situations that are unavoidable, no matter what you do. However, there are a few ways that you can limit your exposure to potential harm. Here are seven ways to improve your chances on the road. As easy as it is to do, you should never switch to auto pilot while driving. That’s a surefire way to slow your response time and decrease awareness. Keep your attention focused on the road ahead and the vehicles around you so your brain can analyze and prepare for any dangerous situations. This also means that driving drowsy is a big no-no. Studies have shown that sleepy drivers are twice as likely to cause an accident than non-drowsy ones. Your risk of an accident while driving tired is similar to that when driving while intoxicated. If your eyelids start drooping, pull off the road and either take a nap or grab some caffeine. Be aware, however, that caffeine takes a while to be effective and it eventually wears off. There’s no substitute for sleep in the long run. Eating, using your phone, and spending too much time checking in on children in the back seat are all distractions that make you lose focus on the road ahead. It may feel like you’re losing time if you have to stop to grab lunch, make a call, or sort out your squabbling kids in the back, but it’ll mean that you’ll be a safer driver when you get back on the road. 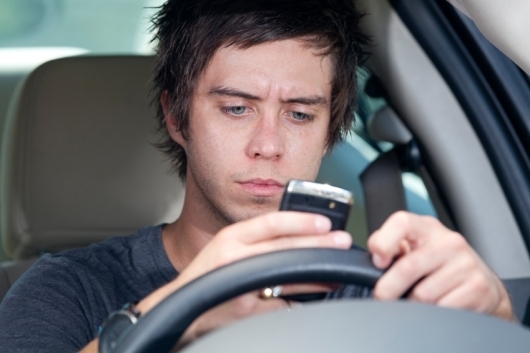 Though texting while driving isn’t illegal in every state, studies have shown that response times while texting or reading text messages are severely delayed. If you need to communicate while on the road, make a small investment in a Bluetooth device. 5. Create a buffer zone. Leaving space between you and the car ahead allows time for braking should the situation demand it. The general rule of thumb is a car length for every 10 miles an hour. Going 60? Try to keep six car lengths distance between you and the vehicle in front. This also aids in setting up an escape route. You need to be ready for a dangerous situation to occur anywhere on the road, which means you need to have an empty space to steer into. If the cars in front and behind you are getting uncomfortably close, strategically line up with an empty space to the side. This allows you to have a place to steer your vehicle into. 4. Keep your hands on the wheel. It’s easy, especially when driving along boring stretches of road or in stop-and-go traffic, to forget that your hands should be on the steering wheel at all times. How else are you going to avoid potential collisions. 3. 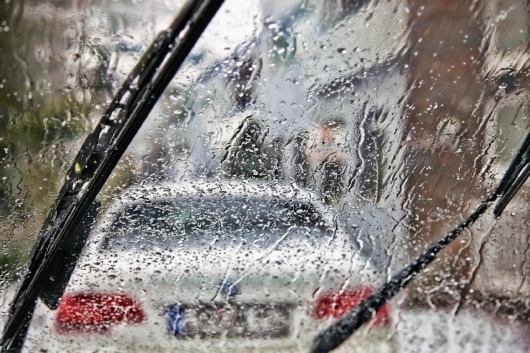 Adapt your driving to weather conditions. Use proper judgment during bad weather. If your vision is limited by fog, you’ll need extra time to perform emergency maneuvers. 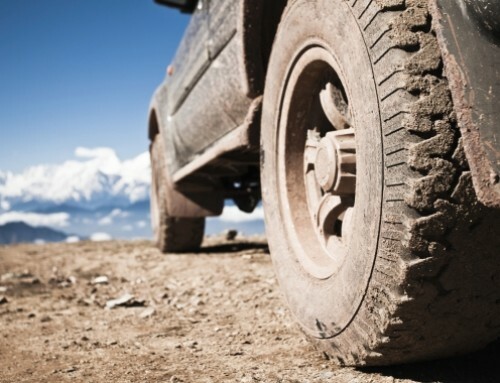 When the ground is wet, your tires will take longer to bring you to a stop. Make sure you have more room than usual between you and the car in front. Using your turn signals or hand signals is an easy way to tell other drivers what move you’re planning to make. You can create a dangerous situation by maneuvering your vehicle unexpectedly, so tap your indicators well before you intend on turning or changing lanes – it’s not just safe, it’s good manners too. When merging in front of a big-rig at night, signal and then wait for the driver to flash the headlights in approval. By communicating to other drivers your intention, they can adjust their driving to accommodate you. Waving thanks goes a long way as well. 1. …But don’t depend on them to do the same. 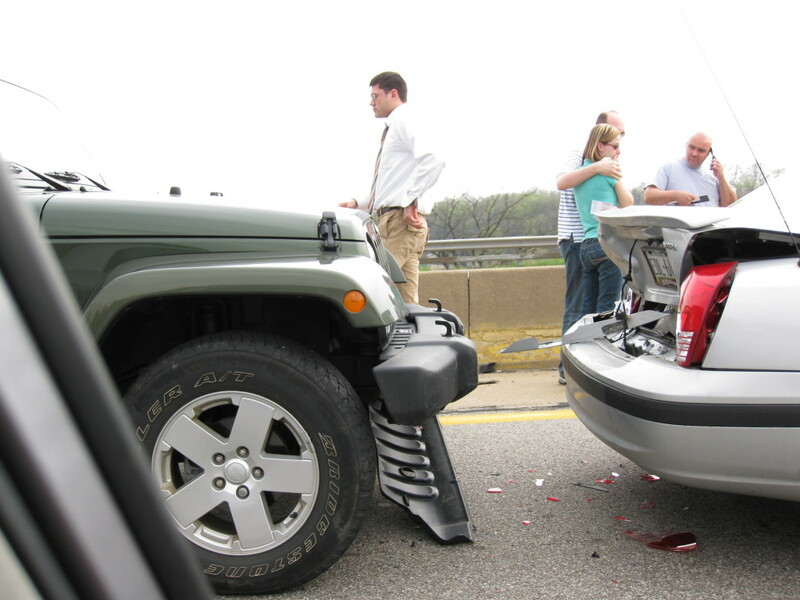 A good defensive driver knows that other drivers can be unpredictable. Watch for erratic driving from the people around you and avoid any vehicle that drifts across lanes, doesn’t signal, or has difficulty maintaining a steady speed. Schedule Your Collision Service Today!